The surging Pokémon-esque series hits iPhone as a fast-paced and fun ghost-battler. If you need a break from Pokémon Go, there’s a new franchise in town that’s taking strong cues from its playbook: Yo-Kai Watch. The Japanese series, created by Level-5, has a Nintendo-published 3DS game, a colorful animated series, a couple of manga runs, and plenty of merchandise. 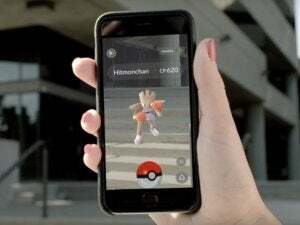 Most crucially, it revolves around the same kind of “Gotta catch ‘em all” mentality based around accumulating and battling cute creatures. And just like Pokémon tested the mobile waters before Go, Yo-Kai Watch has made the transition to smartphones in the form of a puzzle game rather than a role-playing quest. 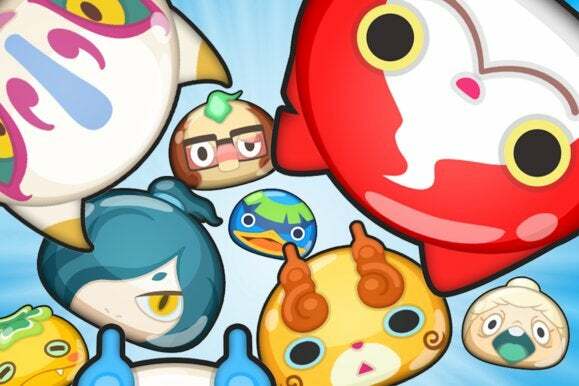 Here, Yo-Kai Watch: Wibble Wobble blends the freeform, icon-connecting design of Disney Tsum Tsum with the kind of team-based battles seen in Puzzle & Dragons… and indeed, Pokémon Shuffle too. Like Pokémon Shuffle, the result feels mostly tried and true, but also does a solid job of adapting the Yo-Kai Watch brand into something new. But will fans of the $40 Nintendo 3DS game want to deal with the limitations and paid boosts of this free-to-play twist? Connect the Wib Wobs to make them larger and larger, and then tap to pop them and attack. While Yo-Kai Watch might follow in the footsteps of Pokémon, at least it has a distinctive theme. Rather than play a young hero collecting and battling monsters, you’re a young boy who encounters a silly ghost in the forest—and then goes around the town battling other ghosts. It has a whimsical touch, even if some of the Yo-Kai (ghosts) are eye-rollingly lame, although the premise is significantly simplified for Wibble Wobble. 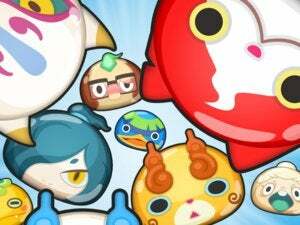 In the mobile game, you’ll build a team of Yo-Kai Wib Wob creatures to battle the enemy Yo-Kai, which is done by connecting like ghosts on the screen. Drawing a line between two or more adjacent Wib Wobs merges them together, transforming them into one larger creature. From there, you can tap it to remove it from the screen and send an attack or status effect to your enemies, or perhaps heal your team instead. Each location has a series of common stages before you fight a boss enemy, plus there are unlockable challenge stages along the way. What’s interesting about Wibble Wobble, not to mention different than some other puzzle battlers on the App Store, is that speed is crucial: You’re not taking turns with the enemy team, but rather racing to send over as many attacks as you can before they wipe you out. 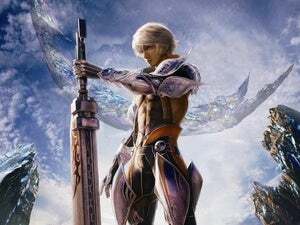 Given that, you’ll need to continually link together the bulbous, jiggling blobs and clear them while amping up your attacks with combo chains. All the while, you’ll also fill your Yo-Kai’s respective meters to unleash special Soultimate Move attacks. At first, Wibble Wobble seemed sort of nebulous and breezy—I couldn’t get a good lock on the pace and flow of the game, but it also didn’t challenge me for the first few hours I played. However, as the game’s full feature set opened up and the foes started showing teeth, the game proved to be both solid fun and nicely strategic. Still, as with most freemium games, Yo-Kai Watch benefits big spenders—and has some rather arbitrary expenses along the way. Barriers between worlds must be unlocked—the Y-Money expense is very small, but it’s odd that you can’t just wait for a timer to expire to open it up. 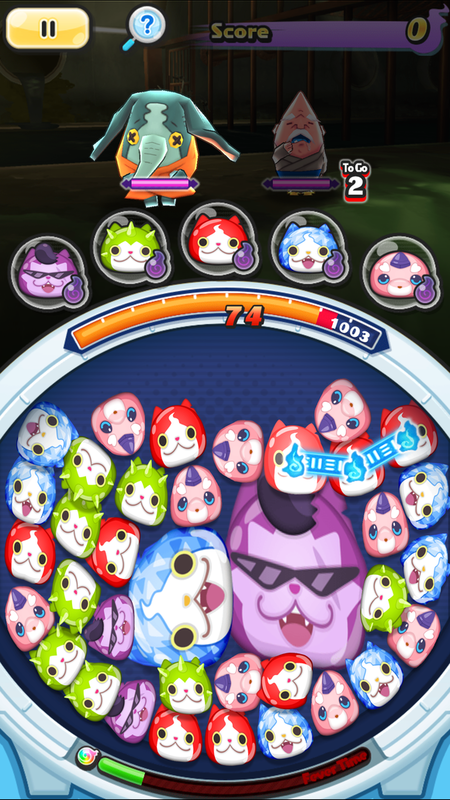 Yo-Kai Watch: Wibble Wobble is pretty playable without paying money, but progress can be slow if you choose to spend your time rather than cash. For example, while many freemium games only ding your energy meter when you lose a game, Wibble Wobble pulls a notch from the Spirit (energy) meter every single time you play—so you might only be able to play five or six games in a stretch before you’re tempted to spend Y-Money to refill your Spirit. Y-Money is handed out for winning battles, logging in daily, and completing missions, so it’s not in too short of supply. Still, there are some rather arbitrary Y-Money expenses that pop up elsewhere. 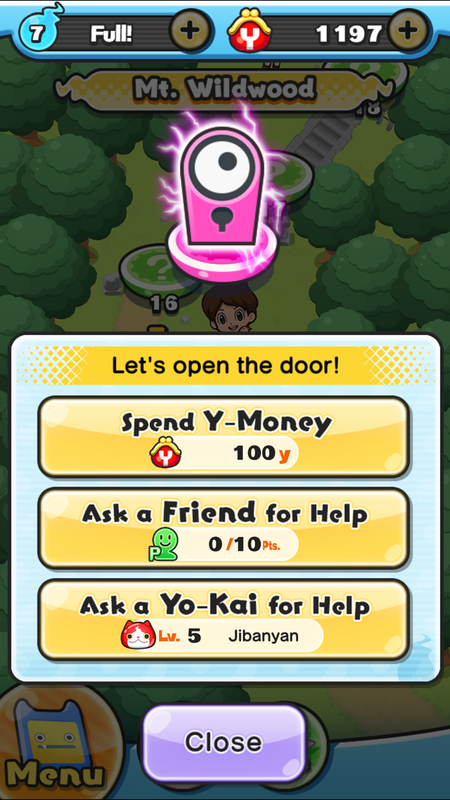 When each Yo-Kai ghost hits level 10, for example, you’ll have to pay Y-Money to remove a level cap. Why? Well, just because. 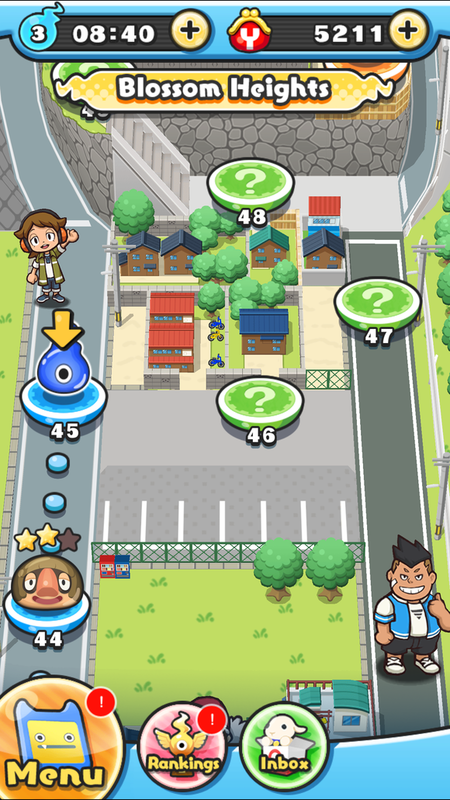 Also, there are barriers between cities that ask you for Y-Money to progress, or help from your friends—but since Wibble Wobble doesn’t have Facebook or Game Center integration, you’ll have to manually add anyone you know is playing it. Bugging friends in free-to-play games is obnoxious enough, but here you’re not even given help in locating them. Pestering friends in free-to-play games is always uncomfortable, but especially when the game describes it as begging. Brutal. Additionally, the game will happily sell you food items to try and convince defeated Yo-Kai to join your team, but you’re betting on chance there. And while Wibble Wobble starts off easily enough, the difficulty does spike after 40-or-so missions, with a recommended Yo-Kai level higher than what you would possibly attain just by playing each previous stage once. As such, you’ll probably need to go back and replay completed levels over and over again, amassing more experience and Y-Money as you grind away. Otherwise, you can spend Y-Money to buy continues after failing, snag items that level up your Yo-Kai, or to draw a random new Yo-Kai from the capsule machine. Play slowly and endure repetitive missions, or spend a little money to make steadier progress: the choice is yours. At least Yo-Kai Watch doesn’t dabble in multiple convoluted currencies and actually gives you that option. Packs of Y-Money range in price between $1 (600y) and $80 (95,000y) and the flexibility of the currency means a boost can be used in many different ways. 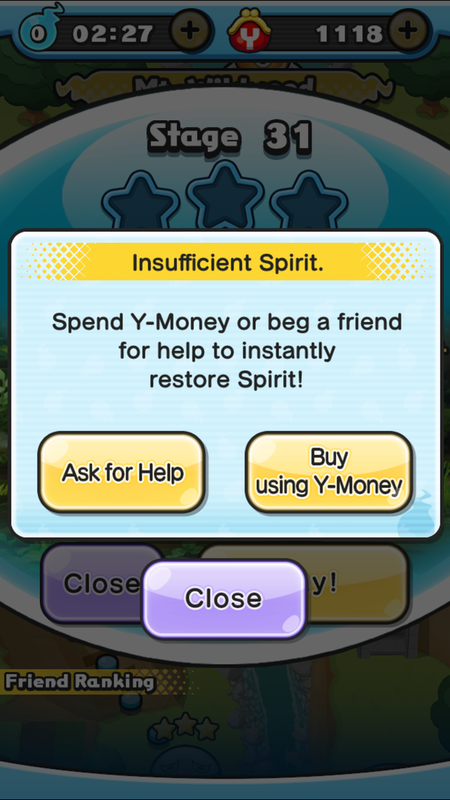 I spent $8 for 6,500y and used it to refill my Spirit, grab a new Yo-Kai from the machine, and buy some items, and a pack of that value could potentially go a long way—or be spent within two minutes. Also, when you spend money, you upgrade your “Class” ranking and earn special perks—like a free special Yo-Kai or coins used in the capsule machine to yield other Yo-Kai. Wibble Wobble might not be a “pay-to-win” game in a very obvious sense, but the paid perks are very real. As someone who grew up on Pokémon games, I can’t help but feel like Yo-Kai Watch comes off as a knockoff… but at least Wibble Wobble creates an entertaining concoction with its fast-paced, real-time puzzle combat. And while speed is a crucial element, you also need to have a bit of strategy, both in how you make matches on the board as well as the composition and management of your team. Yo-Kai fans who love the Nintendo 3DS experience might be a little bewildered by the pay-to-improve mechanics that drive the freemium genre, but at least they’re not aggressive: Wibble Wobble can be played slowly but surely over time with some patience. But the little requests for handouts along the way can sure feel tiring.